Political and business leaders of Canada, no beach reads for you! Politicians, you have dragged trust through the mud this year: Robocalls and electoral fraud, negative and cynical ads, Senate expense scandals, construction kickbacks and municipal corruption, alleged crack parties. Come on! Shame on you! Business leaders can’t be too smug either. Recently, SNC-Lavalin announced a three-month amnesty for whistleblowers. Ummmm… pardon? You usually “make claims for damages or unilaterally terminate employees who voluntarily, truthfully and fully report violations” of your Code of ethics and business conduct? Why do you have a code of ethics if people cannot report breaches? Only ten per cent of Canadians trust business leaders a great deal to make ethical and moral decisions. It’s eight per cent for government leaders. Only seven per cent trust business leaders a great deal to tell the truth regardless of how complex or unpopular the truth is – five per cent for government. Your first assignment is to accept the need to change. Please familiarize yourself with this data. Second, ease into some very general trust principles with the amusing trust fable in Trust Works! by Ken Blanchard, Cynthia Olmstead and Martha Lawrence. You could photocopy the very straightforward ABCD trust model and use it as your daily checklist. Please, make a copy for your staff and a little laminated card for your wallet. If the dog and the cat in this story can figure it out I know you can too. 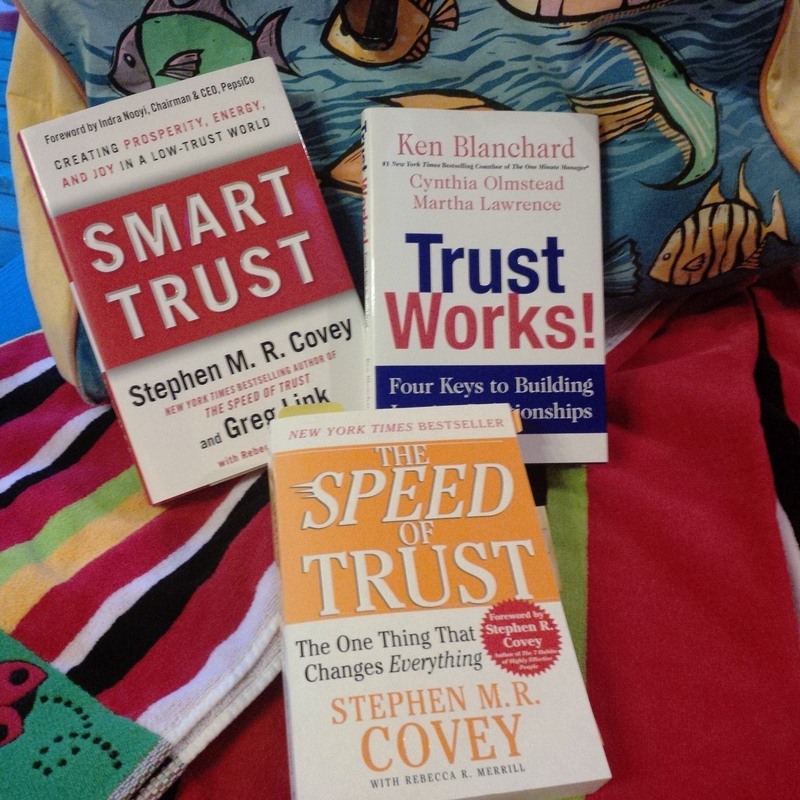 Third, reach for both The Speed of Trust and Smart Trust by Stephen M. Covey and Greg Link. These are longer but I know you can do it. You set public policy for 35 million people or run multi-million dollar companies. The examples are timely, the quotes inspirational and the research pertinent and easily digestible. If you need the Coles-notes, here’s a summary I wrote on Smart Trust last year. Finally, tackle two articles that provide something a bit more academic. The first illuminates how ethics should be at the very heart of your operations and how to know if you’ve strayed from the ethical path. It’s Hosmer’s 1995 article Trust: The connecting link between organizational theory and philosophical ethics in the Academy of Management Review. Finally, top it all off with Reinhardt Bachman’s essay Future directions in trust research. It outlines why we have to move from viewing trust as a relationship between two people that takes time to build towards building system-wide trust that will have broader impact in this crisis of trust. C’mon, find a comfy chair. Sharpen your pencil. Grab your reading glasses. You can even sip a cold one while you read. Show us how much you’ve learned come September. If you’re in the mood for more, you can always check out my trust bibliography. What’s on your reading list this summer? What’s your ‘go to’ book on trust?